The following is a partial list of questions that our church uses to qualify those who 1) desire the office of an elder, and 2) are actually qualified for that office. For a longer “quiz” go here. You are not allowed to use the Bible or any other Biblical help unless directed; nor may you ask the opinion of others, nor in books unless otherwise instructed. The only time the Bible may be used is when it explicitly tells you to read the passage and comment on it. Regularly, examinations take place before Presbytery over the course of two or three days. You have 5 days to complete it. Try to complete it in that time. It will be of help to you as you study for future ministry. Remember, Elders are not elders because they are old, they are elders because they know the Bible well. There is a distinction between those who may be good preachers and those who are Pastors/Elders of a church. But even in their humble beginnings, they knew their Bible well. 1. What are the main groups of books in the Old Testament? 2. What are the progressive truths which run through the Old Testament? 3. What is the basic structure of Genesis? 4. What is a type (typology), and what is our authority for asserting the presence of types in the Old Testament? 5. What is your view on the six days of creation? 6. Explain the Genesis account of the fall of Adam into sin, and what was the result? 7. Why did God destroy the earth with a flood, and where is this recorded in Scripture? 8. Who authored the Pentateuch, and how do we know that these were his writings? 9. What is the covenant God made with Abraham, and where in Genesis is this found? 10. What is the general structure of the book of Exodus? 11. Why was the Law given? 12. To whom was the Law given? 13. What is the importance of the tabernacle? What was its basic structure and furniture, and explain their significance. 14. What is the relationship between the Law and the covenant of grace? 15. In what way does Leviticus express the holiness of God? 16. What is the central message of Leviticus? 17. What is the significance of the offerings as given in Leviticus? 18. What is the importance of the case laws given in Leviticus? 19. Explain the sanctity of blood as set forth in Leviticus. 20. What are the national observances given in Leviticus? 21. What is God’s warning to Israel; what is the final punishment promised for failing to keep God’s commands? 22. How is the Gospel expressed in Leviticus? 23. What are the structural features of the book of Numbers? 24. What are the three families of Levites, and what are their respective duties in the tabernacle? 25. What were the main events recorded during the years of the “wanderings”? 26. What is significant about the numbering of the Israelites? 27. How did Deuteronomy get its name? 28. Set forth a brief outline of Deuteronomy. 29. How is the Law set forth in the book of Deuteronomy? 30. How is the covenant set forth in the book of Deuteronomy? 31, What is the central theme of Deuteronomy? 32. What is the key idea in the book of Joshua? 33. Develop the meaning of Israel’s crossing of the Jordan and coming into the land of Canaan. 34. Set forth the basic theme and significance of the book of Judges. 35. What are the main truths set forth in the book of Ruth, and what is their significance? 36. What is the main theme of First and Second Samuel? 37. Set forth a development of Israel’s problems and history as given in the books of First and Second Kings. 38. What are the main themes and content of the books of First and Second Chronicles? 39. Set forth the importance of the books of Ezra, Nehemiah and Esther as they relate to the history of Israel. 40. What is the purpose of the poetical books? 41. Give an account of the life of Job and the theological significance of this book. 42. What are some of the main objections to the historicity of the book of Job? 43. What are the five main groupings of the Psalms? 44. What is the genius of the Proverbs, and the general purpose of the book? 45. What is the central theme of the book of Ecclesiastes? 46. What is the central message of the Song of Solomon? 47. During which king’s reign did Isaiah prophesy? 48. What big event happened in the Northern Kingdom when Isaiah was between fifty and sixty years old? 49. Give a brief outline of Isaiah’s prophecy. 50. In what section of the book of Isaiah does he speak of Christ and His suffering, and how could this only be fully applicable to our Lord? 51. Which kings were reigning when Jeremiah prophesied, and what was the coming catastrophe to which the kingdom of Judah was heading? 52. What are the four great messianic prophecies in the book of Jeremiah? 53. What catastrophic event does the eulogy, Lamentations, bemoan? 54. Briefly interpret the opening vision of Ezekiel. 55. What was the substance of Ezekiel’s second vision? 56. What do you believe is the main idea of the Ezekiel’s great temple vision, and what is its significance? 57. What have the critics said concerning the date and authorship of the book of Daniel? 58. What was the meaning of Nebuchadnezzar’s dream? 59. What is the meaning of the seventy weeks as they relate prophetically? 60. Name some of the evils which existed in Israel at the time of Hosea, and which ones did he denounce? 61. Develop a brief outline of Hosea. 62. Develop a brief outline of the book of Joel. 63. What is the central theme of the book of Joel? 64. Where and when did Amos prophesy? What was his style of speaking? 65. Give a general outline of the book of Amos. 66. What is the subject of the prophecy of Obadiah? 67. In what way was Micah’s ministry different from Isaiah’s ministry? 68. What is the main theme of the book of Micah? 69. What is the subject of Nahum’s prophecy? 70. Briefly tell how Nahum’s prophecy was strikingly fulfilled. 71. Which city is the focus of Habakkuk’s prophecy, and what is the subject matter of his prophecy? 72. To which kingdom did Zephaniah prophesy? 73. What was the content of Zephaniah’s prophecy? 74. What picture does Haggai give of the moral condition of the returned remnant? 75. What is the prophecy of Zechariah? 76. What is the basic content of the prophecy of Malachi? 77. Construct the biblical development of the nature and person of God, as set forth in the progression of the Old Testament. 78. Briefly develop the history of the covenant, beginning with Adam, through to the New Testament and Christ. 79. What is Judaism? How did it come into being, and what is the Oral Law? 80. When did the synagogue begin to appear, and what was its purpose and functions? 1. What is the meaning of the words covenant and testament? 2. Compare the new covenant with the old covenant. 3. How did the term New Testament come to be used in its present sense? 4. What was our Lord’s purpose in using the Old Testament Scriptures during His ministry? 5. According to the New Testament, what were the charges that were made before Roman officials against Jesus and the early Christians? 6. Who made these charges and why? 7. What languages are used in the New Testament? 8. How did the New Testament come to be written? 9. What can be learned from the New Testament about the religion and philosophy of the Greek world? 10. Describe the government of Judea at the time of the origin of the Church, citing New Testament passages. 1l. What were the powers of the high priest, of the Sanhedrin and of the procurators? 12. Describe the Pharisees and the Sadducees according to the New Testament. 13. Describe the Jewish use of the Law in the time of the New Testament. 14. According to the New Testament, what were the promises given to Abraham, and what was the substance of them? 15. What is meant by synoptic gospels? 16. To whom was the Gospel of Matthew written, and what was its purpose and content? 17. To whom was the Gospel of Mark written, and what was its purpose and content? 18. To whom was the Gospel of Luke written, and what was its purpose and content? 19. Where does the author of the fourth Gospel present himself, in general, as an eyewitness of the life of Jesus? 20. What does John add to our knowledge of events connected with the crucifixion and resurrection of Jesus? 21. What is the meaning of the title Son of Man as applied to Jesus? 22. What is the meaning of the name Son of God as applied to Jesus? 23. What is meant by the phrase the Kingdom of God? 24. Using your Bible, make an outline of Paul’s three missionary journeys. 25. What predictions did Jesus make about the resurrection? 26. How were these predictions received by the disciples? 27. What does the book of Acts teach us about the death of Jesus? 28. According to the book of Acts, what is the importance of the resurrection? 29. Who authored the book of Acts, and what is the date of its writing? 30. Compare the gift of tongues, as set forth in Acts 2, against the account of tongues given in 1 Corinthians 14. 31. Compare the trial and death of Stephen with the trial and death of Jesus. 32. What are the circumstances surrounding the choosing of the seven men as deacons? 33. What are the theological implications of the conversion of Cornelius? 34. Briefly give an account of Paul’s conversion. 35. Briefly discuss Paul’s apologetic in Acts 17. 36. What was decided at the Apostolic Council? What was left to be decided? 37.What is known about the relations of Paul and Peter after their meeting at Antioch? 38. Give a brief summary of the book of Romans, and the major doctrines taught by Paul. 39. What is Paul’s teaching about justification as found in the book of Romans? 40. What place does Paul give to the doctrine of divine sovereignty in the book of Romans? 41. What is Paul’s teaching on sanctification, according to the book of Romans? 42. What was Paul’s teaching about the Jews in Romans 11? 43. What were some of the problems of the Corinthian Church? 44. How did the Apostle Paul deal with these problems? 45. Give a brief summary of the content and purpose of the book of Second Corinthians. 46. What does Paul teach in the book of Galatians about the Law, and what is the importance of the Law? 47. Does the Law, according to Paul, conflict with the covenant promises? Why or why not? 48. Who are the true children of Abraham, according to the book of Galatians? 49. Give a brief outline of the book of Ephesians. 50. What does Paul teach about the church as the body of Christ in Ephesians 2 and 3? 51. Construct a brief summary of the book of Philippians. 52. What is the major thrust of the book of Philippians? 53. Summarize the book of Colossians. 54. What does the book of Colossians teach about the nature and person of Christ? 55. What is Paul’s teaching concerning Christ and philosophy in Colossians 2? 56. Give a brief summary of the book of First Thessalonians. 57. Summarize the teaching of the Thessalonian epistles about the second coming of Christ and related events. 58. Give a brief summary of the book of Philemon. 59. Summarize the book of First Timothy. 60. Summarize the book of Second Timothy. 61. Summarize the book of Titus. 62. In the Pastoral Epistles, what are some of the false teachings Paul identifies and refutes? 63. Give a brief summary of the Epistle of James. 64. What is the meaning of James’ instruction concerning faith and works? 65. Briefly give a summary of the book of Hebrews, and the emphasis given to Christ Jesus as our High Priest. 66. Explain the comparison between Jesus and Melchizedek. 67. Summarize the First Epistle of Peter. 68. Summarize the Second Epistle of Peter. 69. What is the major theme of the book of Jude? 70. Briefly outline the book of First John. 71. What is the content of the Second and Third Epistles of John? 72. What is the difference between the First Epistle of John, and the Second and Third Epistles? 73. What is the teaching in the First Epistle of John about Christ, and why are we to test the spirits? 74. What is the purpose of the writing of the book of Revelation? 75. What is the major theme of the book of Revelation? 76. What is meant by the angels of the seven churches? How do we know that this is the correct interpretation? 77. What is meant by the thousand years in Revelation 20? 78. What does the book of Revelation teach about the return of Christ? 79. Explain the use of the term church in the New Testament. 80. How is the covenant of grace shown in the teaching of the New Testament? 1. What gave rise to the method of allegorical interpretation? 2. Why is the method of allegorical interpretation faulty? 3. What is meant by the term regula fedei? 4. What was the position of the church in the Middle Ages concerning tradition and authority? 5. What was the relationship between dogmatics and exegesis during this period? 6. What is meant by Scripturea Scripturae interpres? 7. What is the major hermeneutical distinction between the pre-Reformation church and the church during the Reformation? 8. What has been the effect of the Reformation upon the post-Reformation church? 9. What is meant by verbal and plenary inspiration? 10. What is meant by the grammatico-historical method of interpretation? 11. Explain from the Bible its own teaching on divine inspiration. 12. What are some objections to the doctrine of verbal inspiration? 13. Is it essential that inspiration extend to every word in the Bible? Why? 14. What do we mean when we speak of unity and diversity in the Bible? 15. What do we mean when we speak of the historical interpretation of the Bible? 16. What are the basic principles of theological interpretation of the Bible? 17. What are the basic principles for interpreting prophecy? 18. What are some of the principles of interpreting the Psalms? 19. Why must we avoid developing doctrine on the basis of historical narratives? 20. What do we mean by analogy of faith? 21. What is meant by general revelation? 22. What is meant by special revelation? 23. What is the value and significance of general revelation as it relates to special revelation? 24. Why is special revelation necessary? 25. Define these three views of inspiration: mechanical, dynamical, organic. 26. What is meant by sufficiency of Scripture? 27. What does inerrancy mean? 28. Why do some people reject the doctrine of inerrancy? 29. What is the view held by liberation theology concerning the authority of Scripture? 30. What is the theological teaching of liberation theology? 31. How do we explain the existence of God? 32. What are the theistic proofs of God’s existence? 33. What is meant by the incomprehensibility of God? 34. What do the following names for God mean: Elohim, Adonai, El-Shaddai, Yahweh, Theos, Kurios, Pater. 35. What is the true source and method for determining the attributes of God? 36. What do we mean by the incommunicable attributes of God? 37. Define the following incommunicable attributes: self-existence, immutability, infinity, and simplicity. 38. What do we mean when we speak of the communicable attributes of God? 39. Define the following communicable attributes of God: spirituality of God, knowledge of God, wisdom of God, veracity of God, goodness of God, holiness of God, righteousness of God, sovereignty of God. 40. What does the theological term Trinity mean, and defend this doctrine from the Old and New Testament using your Bible. 41. What is meant by ontological Trinity? 42. What is meant by economical Trinity? 43. Define the following persons and their roles in the Trinity: God the Father, God the Son, and God the Holy Spirit. 44. What do we mean by divine decrees? How do they relate to time and history? 45. Explain the doctrine of predestination. 46. What is divine election? 47. What is divine reprobation? 48. What does the Bible teach about the creation of a spiritual world? 49. What is meant by the term common grace? 50. What is the origin of man? 51. What does evolution teach concerning the origin of man? 52. What is meant when we say that man is made in the image of God? 53. Explain the fourfold nature of man. 54. Explain the following theories: dichotomy and trichotomy. 55. Explain the following theories of the origin of the soul: pre-existentianism, traducianism, creationism. 56. What is the covenant of works, and how does it relate to man? 57. Explain the doctrine of original sin and its effects on the human race. 58. What is the essential character of sin? 59. What does the Bible teach concerning the transmission of sin? 60. Define the doctrine of total depravity. 61. What is meant by actual sin? 62. What is the Arminian view of sin? 63. What is the Bible’s teaching on the punishment for sin, and why? 64. What is meant by the term covenant? 65. What is the covenant of redemption? 66. What is the covenant of grace? 67. What are the different dispensations of the covenant of grace? 68. Define the essential character of Christ. 69. What the two natures of Christ? 70. Define the two states of Christ. 71. What are the three offices of Christ, and how does Christ execute these offices? 72. Explain the nature and extent of the atonement. 73. What is the operation of the Holy Spirit in salvation? 74. Explain the doctrine of effectual calling. 75. Explain the doctrine of regeneration. 76. Explain the doctrine of conversion. 77. Explain the doctrine of saving faith. 78. Define the doctrine of justification by faith, and what do we mean when we say justification is by faith? 79. Explain the doctrine of sanctification. 80. Define the doctrine of perseverance of the saints. 81. What do the Scriptures teach about death, and the state of man thereafter? 82. What do the Scriptures teach about the second coming of Christ? 83. Explain the following millennial views: pretribulation/premillennialism, historical premillennialism, amillennialism, postmillennialism. 84. Explain the doctrine of the church, its power, authority, mission, offices, sacraments, and discipline. 85. Compare the following systems of church government, and explain the differences: Episcopalian, Roman Catholic, Congregational, and Presbyterian. 86. What are the offices of the church? Explain them. 87. What is meant by the phrase means of grace? 88. What is a sacrament? 89. What does the Bible teach about baptism, and who should receive baptism? 90. What does the Bible teach about the Lord’s Supper, and who should receive the Lord’s Supper? 91. What place does the Word of God occupy in the church? 93. What are the eight divisions in the Book of Church Order? Describe their purposes. 94. Explain the section entitled Church Covenant. 95. What is the evangelical mission of the church? 96. What teachings and practices should be rejected as unacceptable to the Gospel of Christ? 97. What are the requirements for a particular church? 99. What is the required response of a church officer in the event that a church member disturbs the peace of the church concerning an issue of liberty? 100. What are the three basic principles of biblical ecclesiastical unity? 101. Define the relationship between congregation, presbytery, synod and general assembly. 102. Is the incorporation of ecclesiastical bodies is a violation of the doctrine of the headship of Christ over the Church? 103. Name the ordinary officers of the church, and describe their functions. 104. Give three synonyms for the title presbyter. 105. Describe the duties of a pastor, a church governor and a deacon. 106. What is the difference between a pastor and a doctor? 107. How are elders received into the church? 108. What are the qualifications of elders? 109. Define the provisional elder. 110. What are the requirements for the provisional elder as they relate to presbytery? 111. Define ordination, and explain why it is necessary for ordination to be performed by presbytery. 112. Why are Independency (unaffiliated or non-denominational) and Congregationalism incompatible with the Presbyterian doctrine of ordination? 113. Define the phrase binding power of assemblies. 114. Name the seven promises made in an ordination vow. 115. What are the four promises made by a congregation at the ordination and installation of its pastor? 116. What are the minimum requirements as to numbers of congregations and elders for a presbytery? 117. Define the following terms: mother presbytery, mission presbytery, congregation, and ordinances. 118. Must a session find a member guilty of an act warranting suspension in order to bar him from the Lord’s Table? 119. With whom does the power to excommunicate reside? 120. Suppose a congregation decides to unilaterally remove itself from the denomination. Explain the implications of this action and the appropriate responses by the pastor and presbytery. 121. Define mission congregation. Define full-status congregation. 122. What is the function of a stated clerk in every assembly? 123. According to the regulative principle of worship, what are the required elements of public worship? 124. Define the following terms: ecclesiastical discipline, administrative discipline, and judicial discipline. 125. What are the distinctions between administrative and judicial actions? 126. What is original jurisdiction? 127. What are the only means by which membership in a congregation may be removed? 128. What is the extent of a presbytery’s jurisdiction? 129. What is to be done with cases of incomplete adjudication? 130. What are the steps, in order, for a judicial process to take place? 131. What must the accuser solemnly be warned of? 132. What is the relationship of Matthew 18:15-17 and Galatians 6:1 to the formal judicial process? 133. Why is the belief in a judicial process essential to a Reformed view of the church? 134. Define slander of a minister in relation to the requirement, that only in the mouth of two or three witnesses may a charge be brought against an elder or deacon. 135. What are the rights of the accused in a court trial? differences between the church and its members. 136. Enumerate the rules of evidence for an ecclesiastical trial. 137. Enumerate the rules for trial proceedings. 138. When may a case without full process legitimately take place? 139. What are the four degrees of censure? Define them. 140. Define: an appeal, a protest, and a complaint. 142. What is the name of the ecclesiastical book to establish administrative procedure and precedent? 143. Define a specially called meeting. 144. What is the frequency of meetings for synods and for general assembly? 145. What is the Scriptural position for establishing a congregation? 146. Enumerate the steps for making changes in the Book of Church Order. 147. Explain the Reformed missionary strategy. 148. What must a candidate for ordination submit to presbytery before he may be examined? 149. What is the proper response of any session if elders fail to competently examine a candidate, and yet some have admitted him into the church? 151. In which areas of knowledge must a man be examined for the Gospel ministry? 152. Define at least six areas of subscription to the Westminster Standards that are within the acceptable parameters of deviance. 153. Explain church rebellion in its relationship to the pastor, and in its relationship to the presbytery? 154. Explain the divine right of presbytery and how it differs from Independency. 155. Give the history of the origin of the Reformed Chruch in the United States. 1. Upon what foundation should a Christian philosophy be constructed? 2. What is your view of neutrality in theoretical thought? 3. What is a presupposition, and what is the presuppositional method? 5. What is the difference between Christian and non-Christian epistemology? 12. Construct a biblical philosophy of history. 13. Develop a biblical philosophy of civil government. 14. What does it mean to know: analogically, univocally, and equivocally? 15. What is the difference between an evidential system of apologetics and a presuppositional system of apologetics? 16. Why would we reject or accept the evidential system of apologetics? 18. What is the relationship between logic and truth? 19. How many sources of truth are there? 20. Develop a biblical view of economics and culture which would transform a society from a non-Christian system to a Christian system. 1. Explain Hellenistic Judaism. What is its relationship to the Septuagint? 2. How did the Greek and Roman cultures affect the spread of the Gospel by the early church? 3. Identify the Apostolic Fathers, and comment upon the content of their teachings regarding: God, Jesus Christ, sacraments, faith, good works, the Church, and the future. 4. Identify Gnosticism and Montanism, and give specific examples of their presence in the church today. 5. Who were the apologists, and what was their task? 6. Who was Origen, and what was his contribution to the church? 7. Who were the polemics? Comment upon some of their teachings. 8. Who was Aurelious Augustine, and what was his contribution to the Council of Chalcedon, even though he was not directly involved? 9. Why was the Council of Nicea considered to be the most important event of the fourth century? 10. Why were the ecumenical councils convened, and would an ecumenical council of today be similar in function and purpose? Why or why not? 11. What was the purpose of the first Council of Constantinople? 12. What was the purpose of the Council of Ephesus? 13. 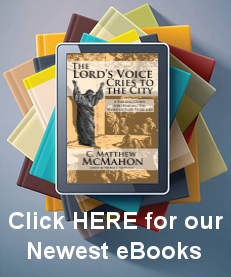 Why is the Council of Chalcedon considered to be the foundation of Western liberty? 14. Why did the Romans persecute the Christians? 15. Why did the episcopal form of church government take precedence over the presbyterial form in the early church. 16. What conditions in Europe prepared the way for the work of the Reformers? 17. Who were the Reformers, and what were they trying to accomplish? 18. What were the major differences between the positions of Luther, Zwingli and Calvin regarding worship and the sacraments? 19. What is monasticism, and why is it in error? 20. What were the motives behind the crusades of the Middle Ages? 21. What was Johannes Gutenberg’s contribution to the Reformation, and how was it significant? 22. What was the significance of Luther’s 95 Theses? 23, What two significant issues were settled at the Diet of Worms, in April of 1521, and why were they significant? 24. What was Calvin’s form of church government? 25. What was Calvin’s role in Geneva? 26. Who were the Anabaptists? 27. What were Anabaptists’ views on church and state? 28. How was the beginning of the Reformation in Scotland different from its beginnings in other countries? 29. Identify John Wycliffe and William Tyndale. How did their works affect the church, and the Reformation? 30. What was the significance of the Act of Supremacy and the Law of Treason and Heresy, which were both passed by King Henry VIII of England? 31. What is the significance of the Council of Trent? 32. What were the causes for the halt in the progress of the Reformation? 33. Who were the Puritans, and what was their significance? 34. What was the purpose and outcome of the Council of Dordt? 35. Why was the assembly called to Westminster, and what did this assembly accomplish for the church? 36. What was the Great Awakening in the American church? 37. How did liberalism creep into the church of the twentieth century? 38. Develop a brief outline of the history of the Presbyterian Church. 1. What is the biblical view of missions? 2. How did missions work help spread the Gospel in the early church? 3. How did the Reformation church see its responsibility towards missions? 4. How did the Puritans view missions? 5. Who is considered the father of modern day missions? 6. What is biblical evangelism? 7. How should the Gospel be presented to the unregenerate? 8. What does the term discipleship mean? 9. Is discipleship different from evangelism? 10. Name four major cults in the world today? 11. Name five major religions in the world, and what is the content of their religious beliefs? 12. Why do we reject these religions? 14. What is the importance of preaching? 15. What type of preaching is considered biblical preaching? 16. What are the requirements for a pastor according to the books of First Timothy and Titus? 17. Why do we not allow women to preach or hold office in the church? 18. What do you see as the biblical responsibility of pastors towards their church and community? 19. What are the functions of the office of minister? 20. What is nouthetic counseling? 21. What are some of the problems with modern psychology? 22. What role does Scripture play in counseling? 23. What are the two great revivals in history? 24. What were the circumstances surrounding these revivals? 25. What are the administrative functions of the church, and how should they be carried out? 26. What type of music should the church use? 27. What is the regulatory principle of worship? 28. What is the biblical view of the relationship between church and state? 29. Develop a Christian view of education. 30. Should Christians be involved in civil government? Why or why not?